Who will welcome them to Earth now? 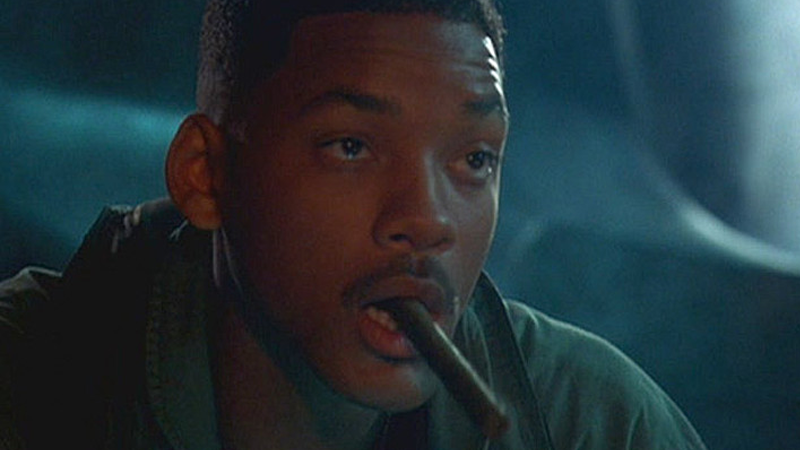 We’ve known for while that the next Independence Day would bring back more than a few familiar faces, and that one of those faces would not be Will Smith’s resident Earth-welcomer Steven Hiller. But thanks to a new tie-in website, there’s now an in-universe reason for his absence... and a rather permanent one at that. To coincide with the release of the new trailer, Fox have revealed a viral website called “The War of 1996,” filled with recollections of the original movie’s events from an in-universe perspective, as well as details about what the world has been like in the 20 years between the first movie and its upcoming sequel. Hidden among the faux-documentary tidbits? The fact that Hiller is dead. While test piloting the ESD’s first alien hybrid fighter, an unknown malfunction causes the untimely death of Col. Hiller. Hiller’s valor in the War of ‘96 made him a beloved global icon whose selfless assault against the alien mothership lead directly to the enemy’s defeat. He is survived by his wife Jasmine and his son Dylan. It’s kind of a shame that the reveal that one of the main characters from the original was killed off comes in this viral tie-in website than the movie itself—it could get mentionedat some point, sure, but still!—but I guess that answers the question of whether or not Smith would ever return to the series for good.